Fairfax is pitching this digital screen to newsagents in Victoria. 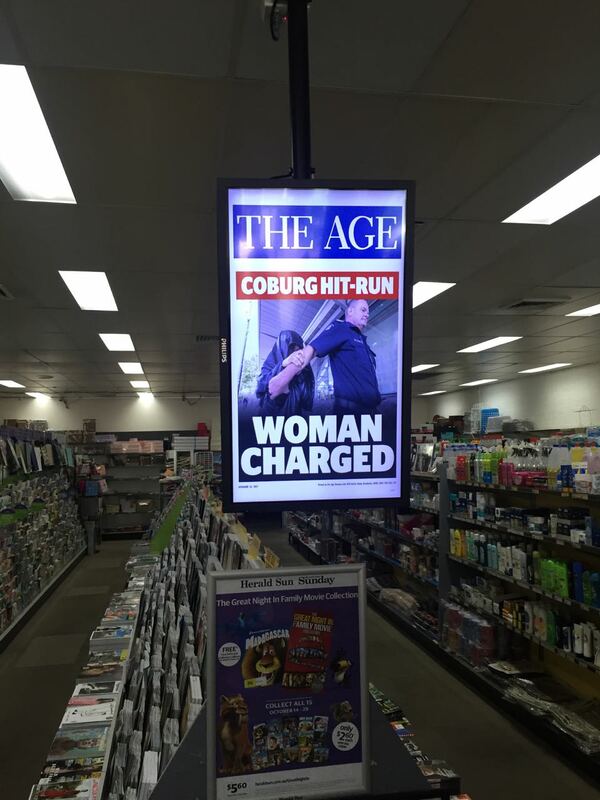 We have a 32″ LCD screen which will feature Fairfax promotional ads but also allows each store to place their own ads on the screen at no cost, excluding News Corp products and Tattersalls. These screens can be mounted on the ceiling or on the wall, all installation expenses are covered with Fairfax. The image below is only a example. I am keen on reducing visual noise rather than increasing it. Also, giving prime space to promote a low-margin non net new traffic generating product is of questionable value. So, not for us. However, there are others who may find the opportunity interesting … hence, this post.